Scott Equipment Company, Inc. Scott Equipment Company, Inc.
We recently delivered and installed material for wire mesh partitions and tenant storage lockers at the new condo project, Tapestry Brentwood Town Center. Visit our Facebook page here to see more photos. Check back soon for more project updates! Scott Equipment Company, Inc. has been in the business since 1954. 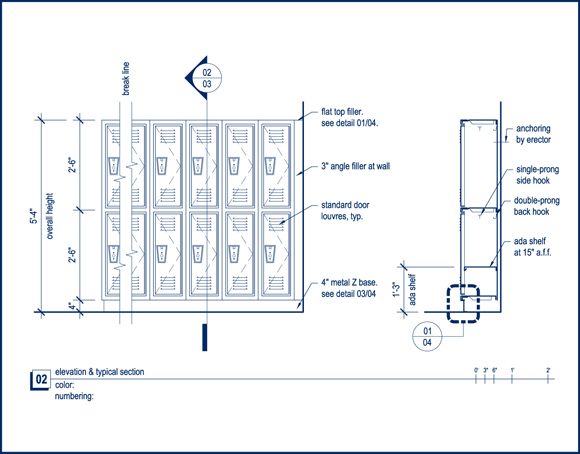 We design, build, and install CSI Division 10 items: metal lockers, metal shelving, storage rack, mezzanines, conveyors, wire mesh partitions, and much more. Our markets include industrial, commercial, educational, residential, and government sectors. We�re very familiar with our products, and we can coordinate with you through the entire design process. Our delivery includes detailed drawings, product literature & samples, cost analysis, and complete installation. No job is too big or too small. Let us provide a solution for your storage needs!